MD-Update is the place for Kentucky and Southern Indiana doctors and providers to connect with each other—across specialties, across town, and across the state. It’s a place for doctors to keep up with the latest trends and advancements in medicine in both their specialty and other specialties within our area. Doctors are committed to delivering the best possible care to their patients. Sometimes that requires a second opinion or referral to a specialist. 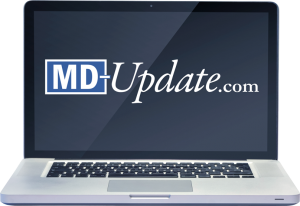 MD-Update gives Kentucky and Southern Indiana doctors added insight into the latest trends in different medical specialties and information on the doctors who are incorporating new technologies and advancing care. The doctor-patient relationship is sacred, personal, and powerful. In choosing a doctor, patients are making a decision that impacts them and their families. When making this decision, knowledge is power. MD-Update provides this knowledge through articles based on interviews with the doctors themselves. Upon completion, each article is reviewed for medical accuracy. Our beautiful print magazine is published eight times a year and provides a place where Kentucky physicians can share information with their professional colleagues. This Dr2Dr and B2B media platform is the only publication covering clinical, regulatory, and business development trends among Kentucky’s regional healthcare markets, engaging Kentucky’s leading medical professionals in a positive, common experience of networking, knowledge sharing, and analysis of industry events. Our digital edition highlights the content of our print magazine for busy professionals on-the-go and those who prefer a more tech-saavy experience, and it packages our content in an easy-to-share format. 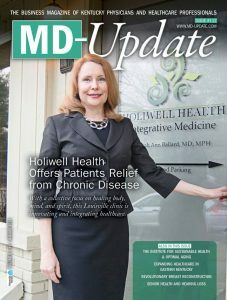 Our multimedia consumer health resource leverages all the regional expert health content from our print magazine into a searchable website, so healthcare consumers and decision-makers have a trusted source for physician information and referrals. Frustrated by Google searches that only result in database listings or comparative ranking sites? Our content provides actual interviews with regional physicians and healthcare experts on common conditions and the latest treatments available right here in Kentucky and Southern Indiana. Search by specialty, condition, provider name, procedure, and more to find in-depth articles on health topics that matter to you. 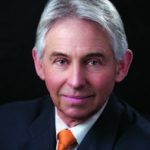 MD-Update is a Kentucky owned and operated print magazine and website, which was founded by publisher Gil Dunn in 2010. Gil has 30+ years of multi-media experience. Contact Gil at gdunn@md-update.com or 859-309-0720.